After being in the audience of the townhall debate on changing the way the Maine Department of Inland Fisheries and Wildlife (IFW) manages our bear populations, I was determined to interview Judy Camuso. It was Judy's knowledge, passion and drive that came through during the debate that had me and supporters in the crowd, fired up about our work helping to educate and encourage more people to Vote NO on 1. I sat down with Judy to talk about her career, Maine's wildlife and of course, bears. What made you want to get involved in wildlife? I grew up outside. My mom had six kids and we were always outside. I loved animals from the time I was young. I went to college to study veterinarian medicine and did an internship with US Fish and Wildlife my sophomore year. I loved being able to watch birds and study their behaviors and try to figure out what makes animals do what they do. How long have you been studying wildlife for IFW? I started at IFW around the time of the Patriots Day storm (April 2007) and I was hired as a Region A biologist. At the time, I was the only woman. It took some time to find my voice but the staff were great and encouraging. I thought I would wait a couple more years but the Special Projects position at IFW opened up and I applied. A few months after I got that job, John Boland retired from the bureau director position and so I applied and was hired as the new director. What is your first experience that solidified that you were in the right field? There was no question that I wanted to work with animals. I thought that I wanted to be a jockey when I was little, then I wanted to be a farmer then a vet. I loved animals and birds. I worked at Audubon before IFW and thought that I would never leave. I was teaching people about birds and just loved what I did every day. I took the first job at IFW and was surprised that I liked the job better. I was out in the field all of the time and enjoyed being able to just walk through the woods to collect data and not necessarily teach people. Can you explain your current role at IFW? I am the Wildlife Division Director so I over see all of the regional staff and our wildlife program. The staff! Hands down. We have a lot of wildlife here in Maine and when you get to go out into the woods to watch and study moose with Lee (Kanter), you can not help but come back jazzed up about what you do. We are a tight group that support and encourage one another. We have a lot of great people doing a lot of great things and I get to be a part of that. I also love being able to hear stories from people across Maine and talk about the programs that we have at IFW and what we have going on at any given time across the State. Just keeping up. I have to provide the staff with everything they need to do their jobs and the successful tools needed to excel. We have incredibly dedicated people that need support. Maine is more progressive in our action plans than most states. People like Tom Schaeffer, Randy Cross and Jen Vashon are dedicated and passionate in what they do - and they have been dedicating decades of their lives to this - so I need to make sure they are getting what they need to do their jobs. A lot of people who work at IFW hunt, but you don't. Is there a reason? Mostly it's just a time issue. I've been out with co-workers a few times and I really enjoy it, but I have so many interests already, that I just haven't made time. If I had someone to go with regularly I'm sure I would. I took hunter safety and I really like shooting so I expect I will at some point in the future. Do you have a favorite animal/species that you study? Ha! Usually whatever I am working on is my favorite. 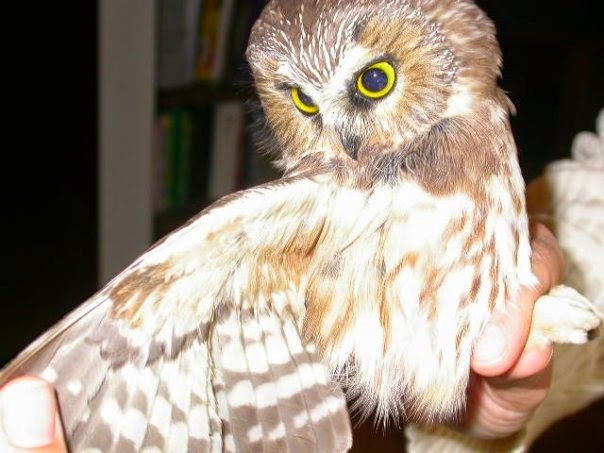 Right now, I am tagging Saw-whet owls. I have a net that is 40 feet long and about 10 feet high with pockets in it. It is their fall migration so I play a tape of a breeding male in order to get more owls to fly by. I go out every hour during the night and check the net. It is sized to fit these birds specifically so that I only catch what I want. A Chick-a-Dee can fly right through the mesh but I have caught Bard owls looking for a meal, flying squirrels, tree frogs and I had a porcupine that got stuck in the netting while he was climbing the tree. But, if I go out and have caught a Saw-whet, it usually has fallen into one of the pockets that acts more like a hammock and I can get it out, tag it and release it. Depending on the migration, I have caught anywhere from 150 to 450 in the six week period. In the spring, it is fun to watch migrating warblers and in the winter ducks like Golden eyes are great. Plus, if I can go out with Randy to the bear dens, I am always excited about that. Anything that I can observe fascinates me. And of course we have to talk a little bit about the bears. This your first time dealing with something this political at work. What has surprised you most about it? I have been surprised by the intensity and passion that people have about wildlife. It has been really encouraging for me. I think that it has also allowed people to get a better understanding of what IFW does and that we conduct research on everything from Rusty blackbirds and Spruce Grouse to all of the game animals that people know us for. After the debate, I got a lot of emails but one that stood out to me was from a dad who had bought some land for the purpose of bear hunting on it. He was taking his 10 year old daughter out bear hunting this year and he thanked us because he wants his daughter to be able to have the opportunity and tools needed to harvest bear now and in the future. That really struck me. That girl might not have a choice in how she can hunt if the referendum passes. My goal after this referendum is to bridge the gap between game hunters and non-game hunters so that people can truly understand what we do, how important that is and what kind of passionate, dedicated and caring staff we have working in the fields and woods to better our resources. What do you want voters to know before they head to the polls? This referendum will impact everyone in the State, Southern Maine especially. We should find black bears in the woods not in our backyards. I don't want to see this regal species be diminished to a backyard nuisance. We have a 14 week season on bears and a 25% success rate. Hunters have six days in their zone during moose season and we have a 75% success rate. We use the tools necessary to keep the species healthy. That is why we hunt the rut for moose, deer and spring turkey. Hunters use calls and scents to help pull these animals in. Baiting bear is the same thing; we use an effective tool to help manage populations. We are about to start another 15-year planning process about bears and I want to get everyone involved. I want the people who are trying to pass this issue to come to the committee hearings and working groups with their ideas and concerns and let us work together to come up with a comprehensive plan for our bear population. And lastly, what book are you reading? 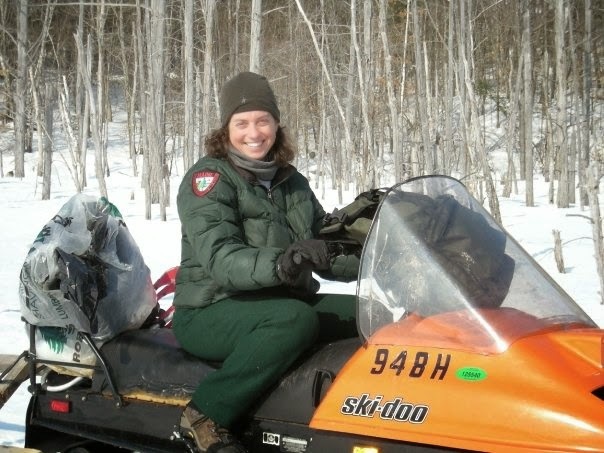 Mainers should be excited and proud to have someone like Judy working to help manage our wildlife, regional biologists and overall health of the Maine outdoors. Her excitement and passion for wildlife is evident when you talk with her. It is because of people like Judy that hunters like me have the resources needed to be successful in the woods. 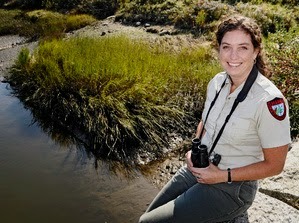 Maine is lucky to have Judy's dedication, talent and drive helping to making our wildlife some of the best managed in the United States. Maybe she can even help me figure out if I am dealing with one deer here or two.